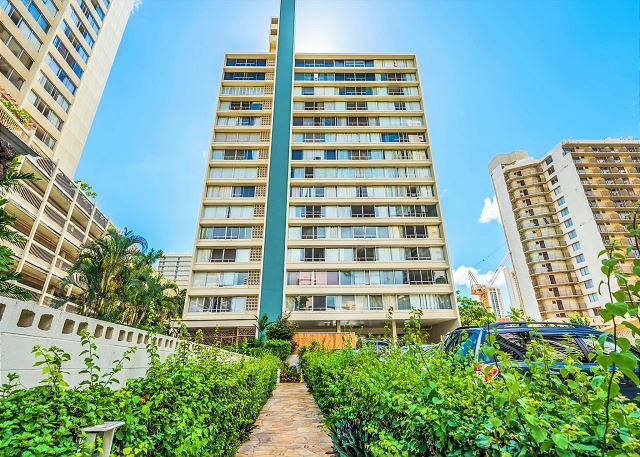 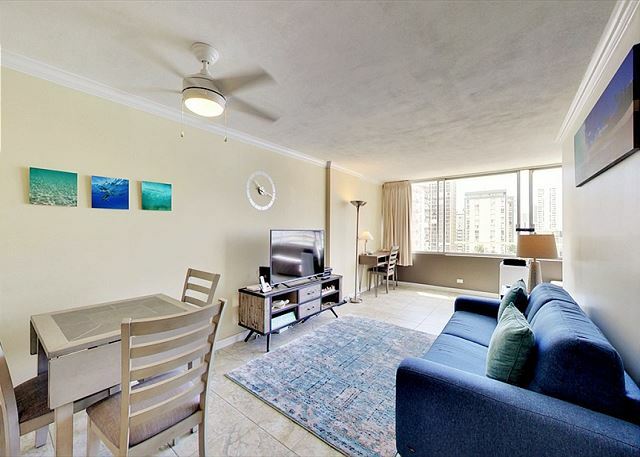 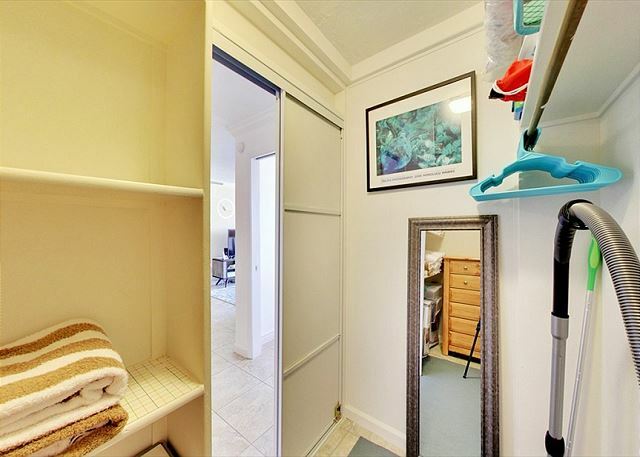 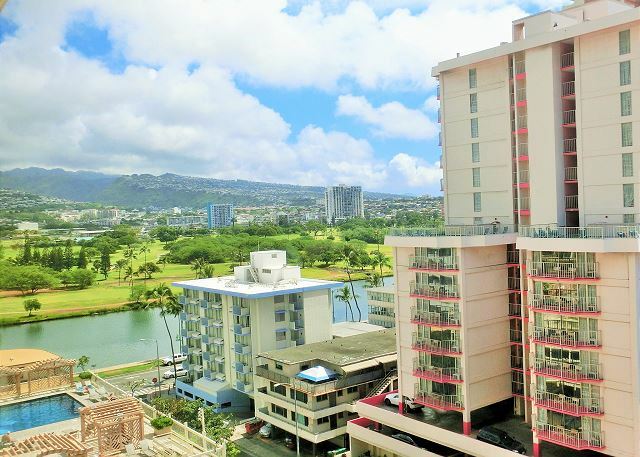 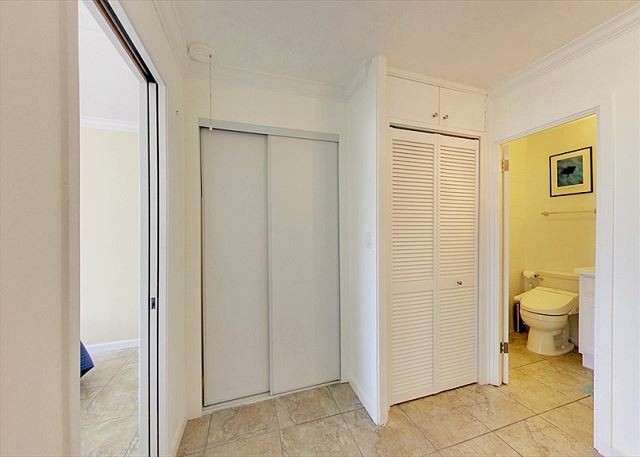 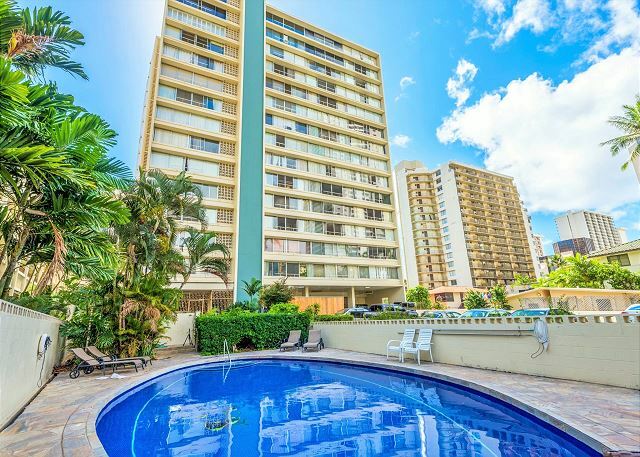 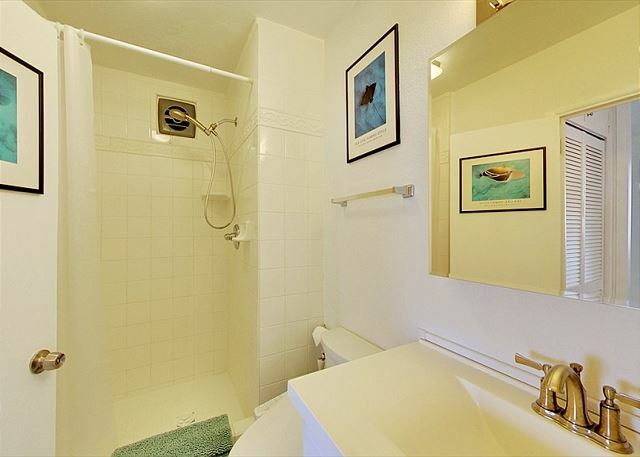 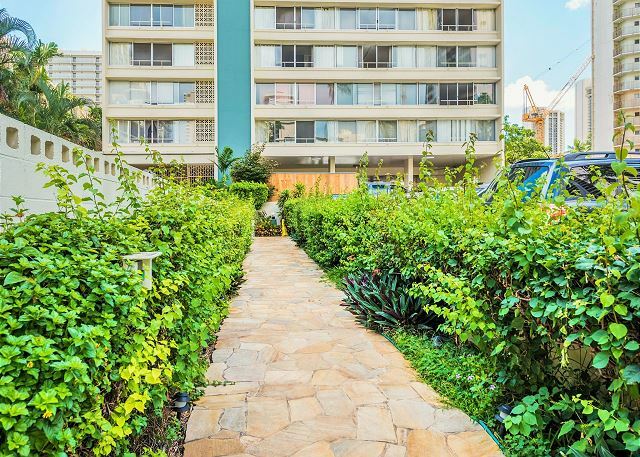 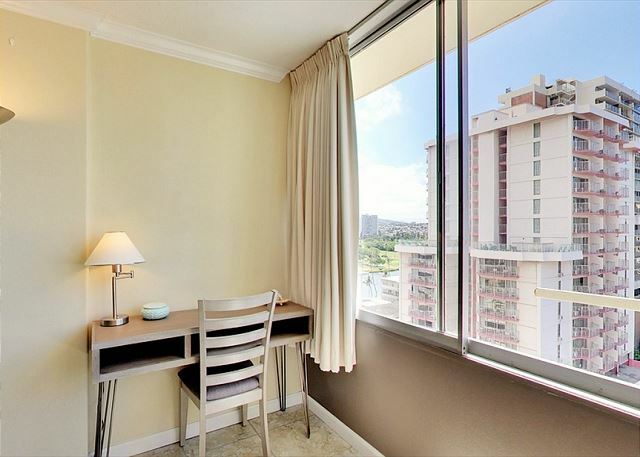 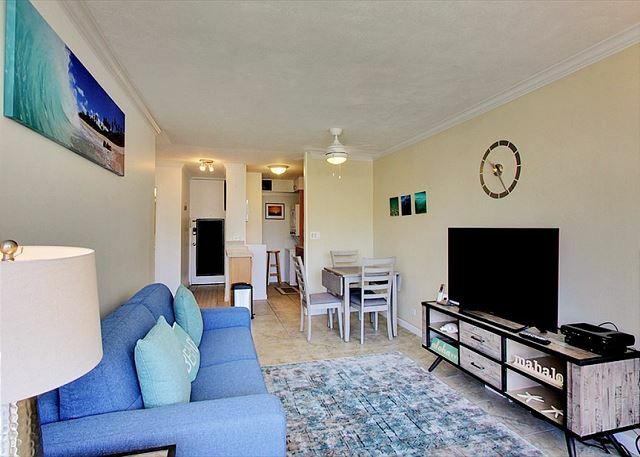 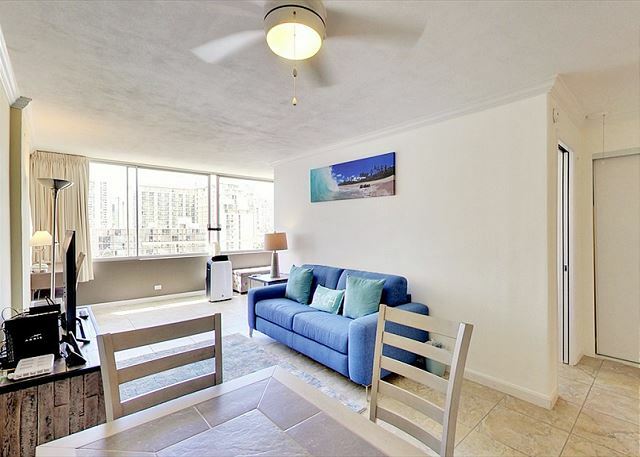 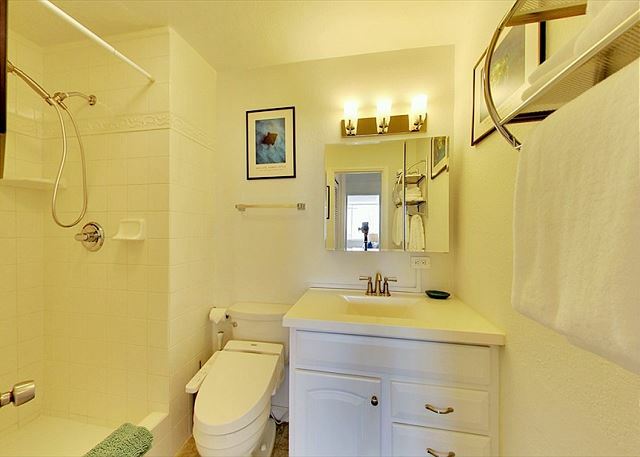 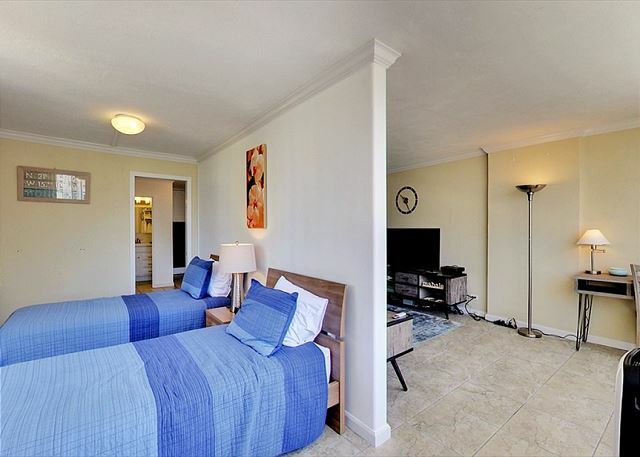 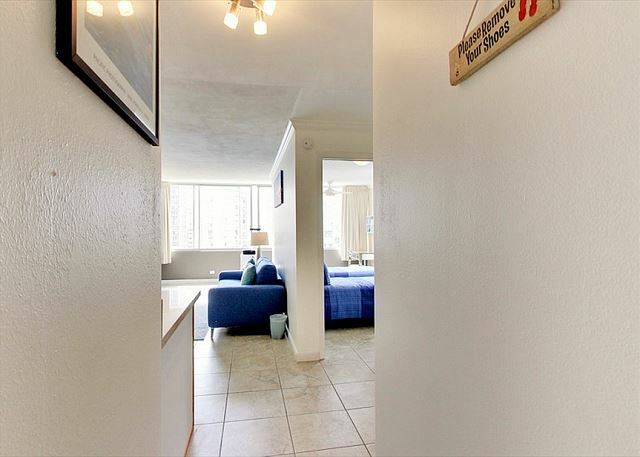 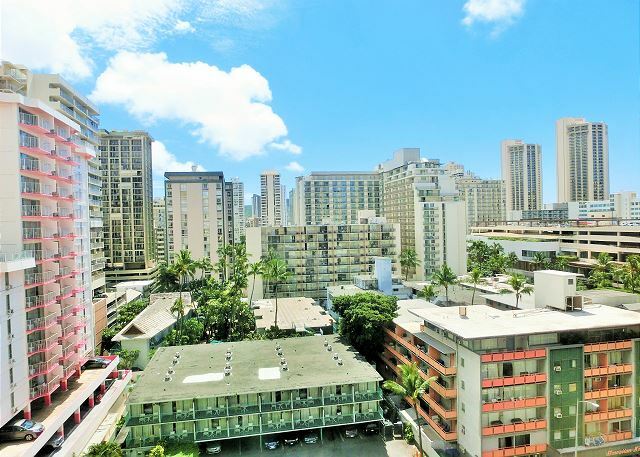 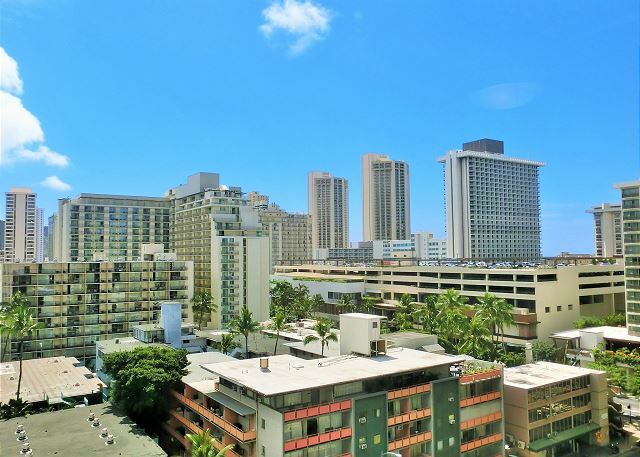 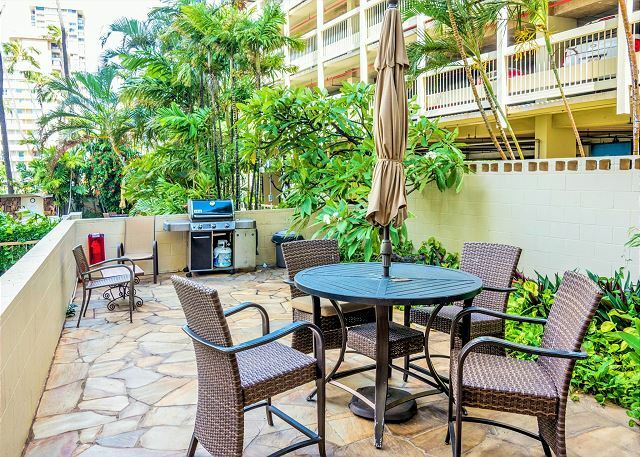 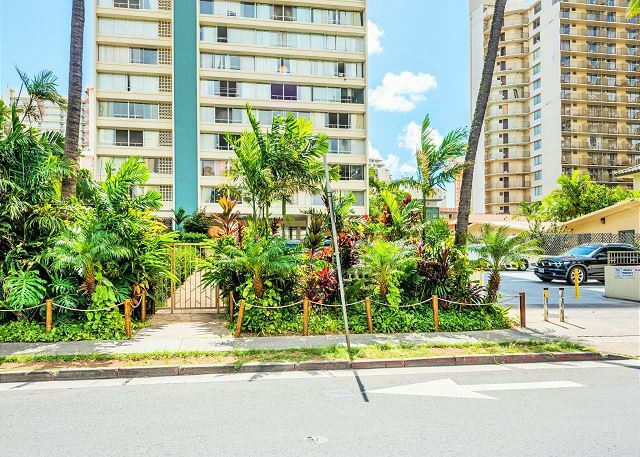 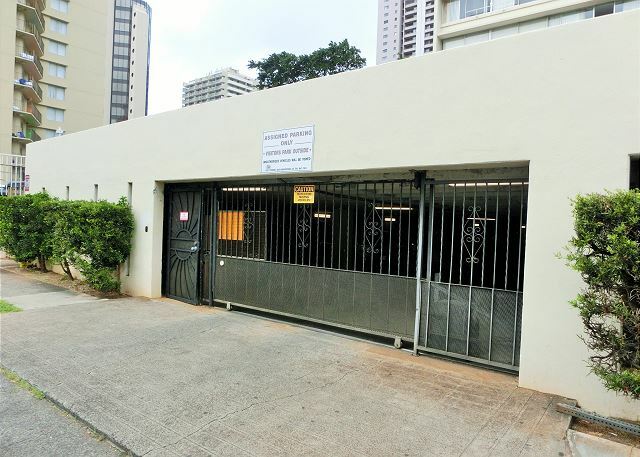 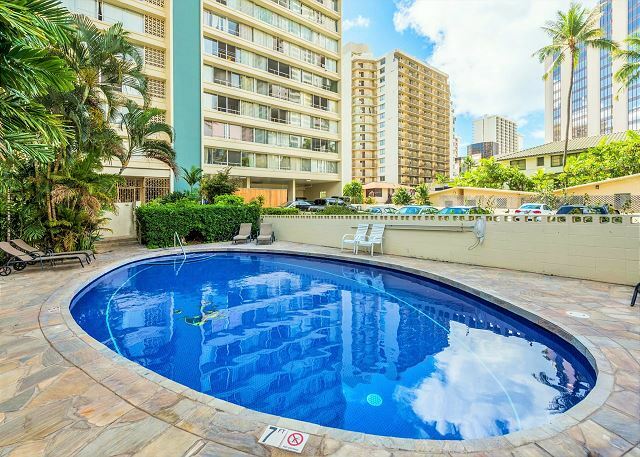 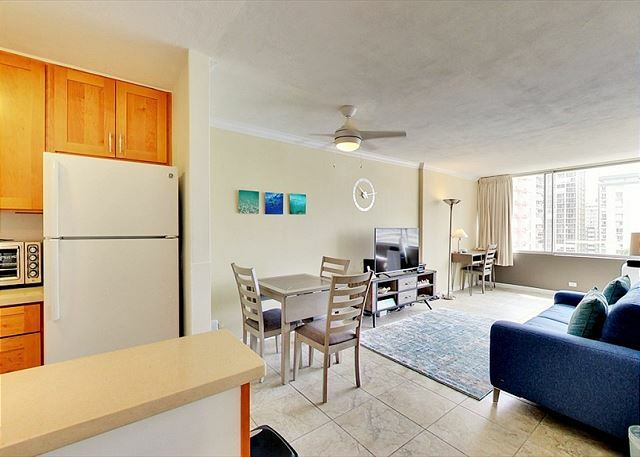 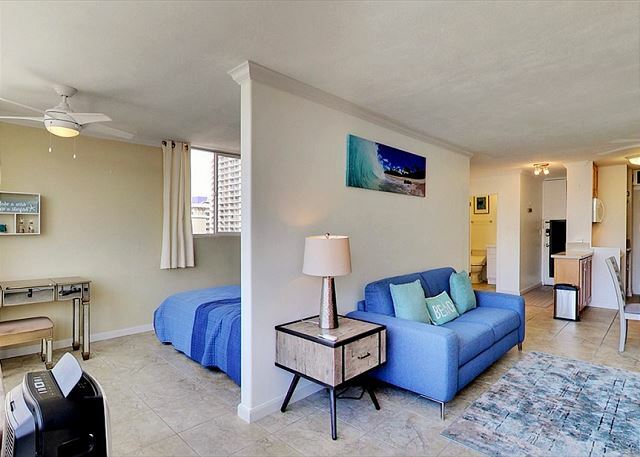 Seaside Towers #1001 - One bed room unit located in the center of Waikiki. 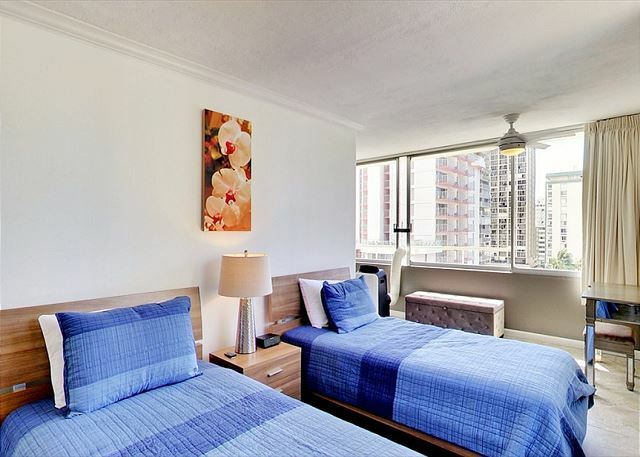 Furnished corner end unit, one bed room of 10th floor. 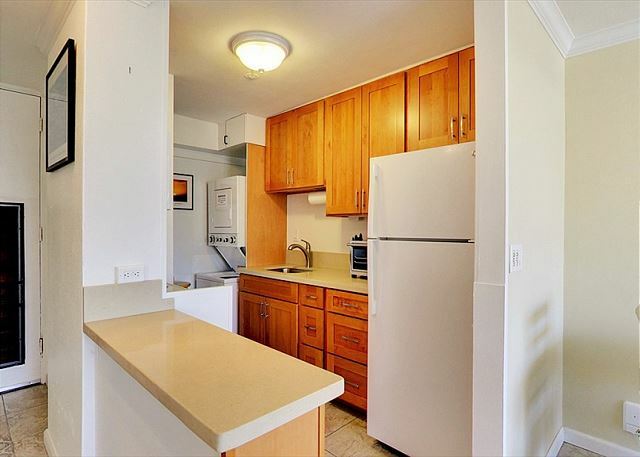 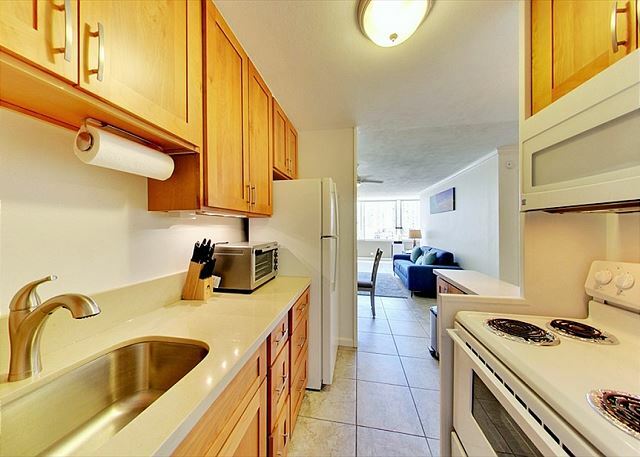 The unit with full kitchen equipped with cooking tools. 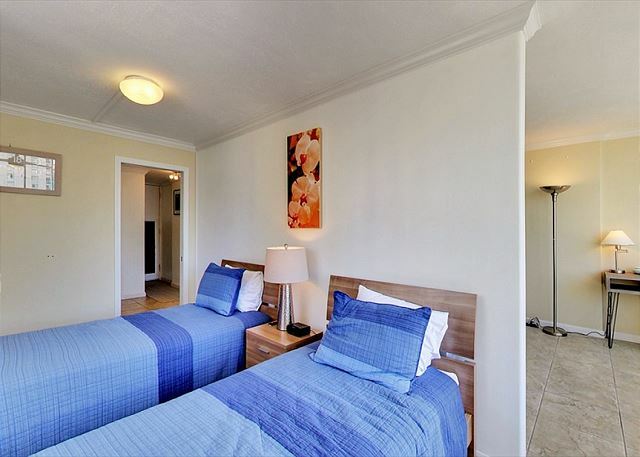 2 beds and a full size sofa bed provided for your friend and family. 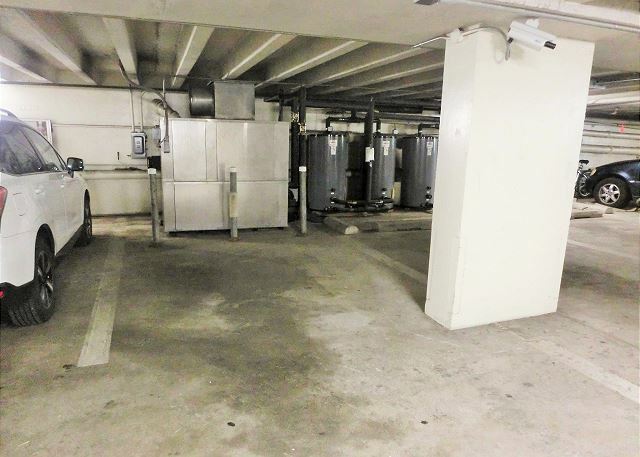 Comes with 1 covered parking space. 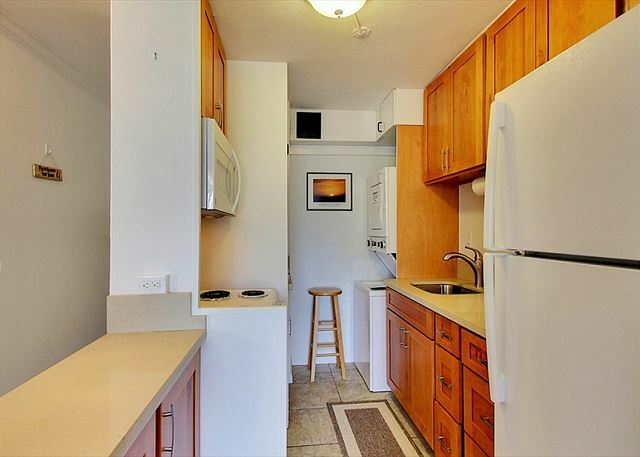 Cable TV and free Internet provided in the unit. 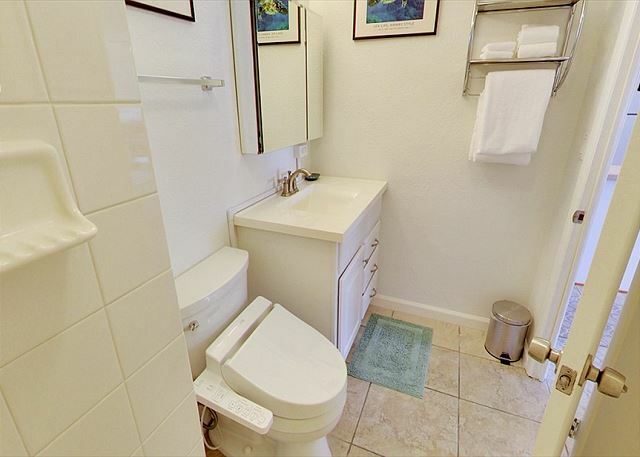 Also phone set for local call. 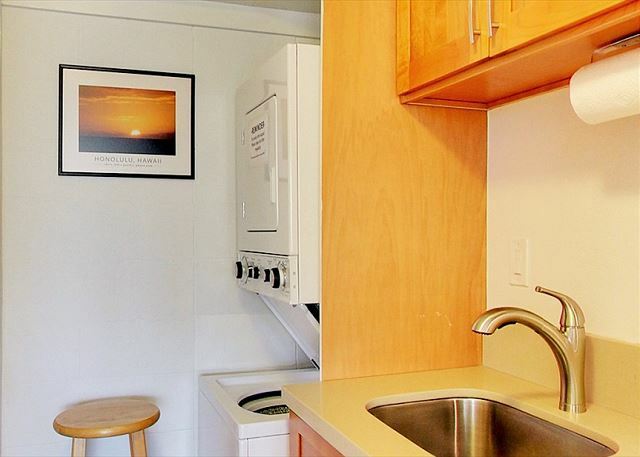 Washer/Dryer equipped in the unit. 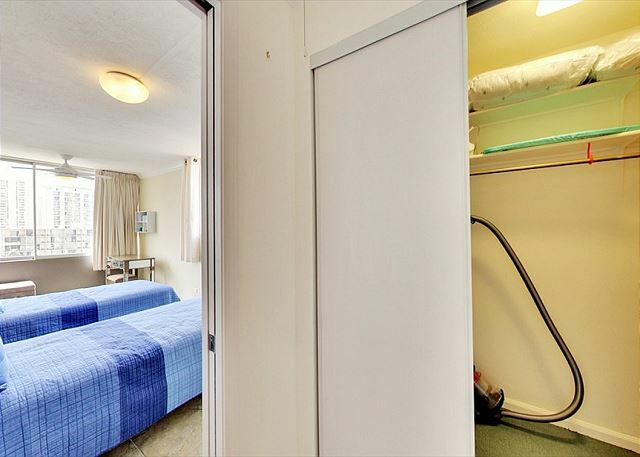 Minimum 30 nights required for booking this unit. 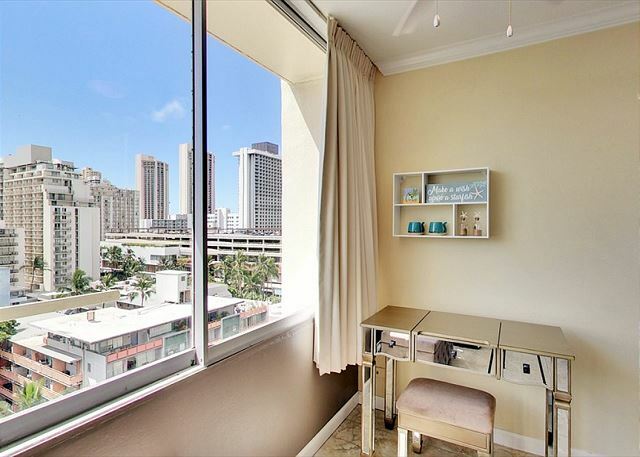 Due to the use of a portable A/C, the window at the living room side will be not able to open.